Here in Ohio we have the largest Amish and Mennonite population and communities anywhere in the world. This population lives in Wayne and Hoimes counties in Ohio and when driving through the rural communities in either of these counties, it is not unusual to see the Amish horse and buggies, Amish riding bicycles or Amish walking along the road, working in the farm fields or working as carpenters in furniture making. Because I am interested in other cultures, I have become interested in the Amish culture and I have learned the diffferences between those who call themselves Amish and those who call themselves Mennonites. 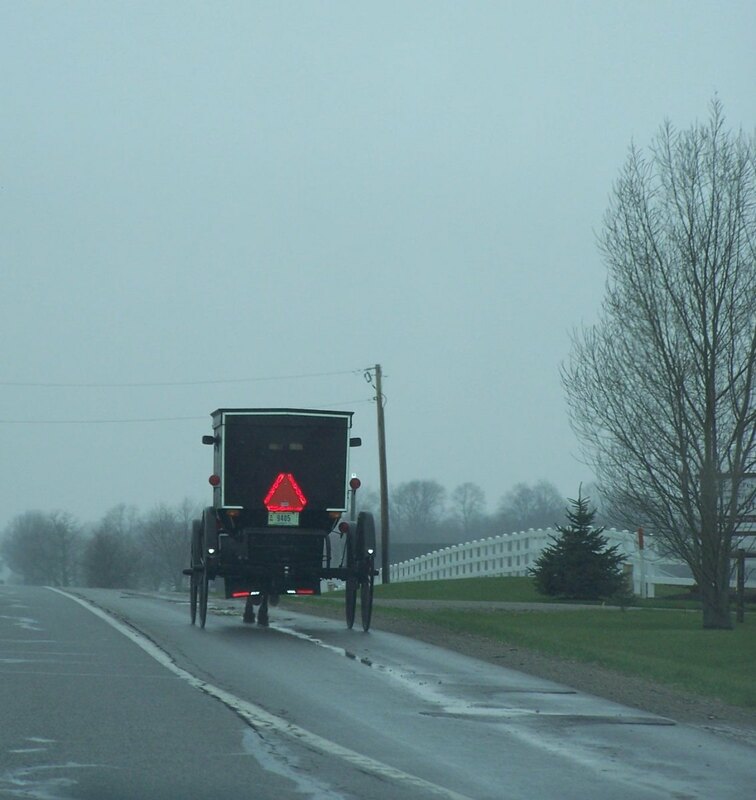 Wayne and Holmes counties are just about fifty miles from my home here in Ohio, so on lovely, warm, sunny Ohio days, I will many times take a ride down to what we call "Amish Country." 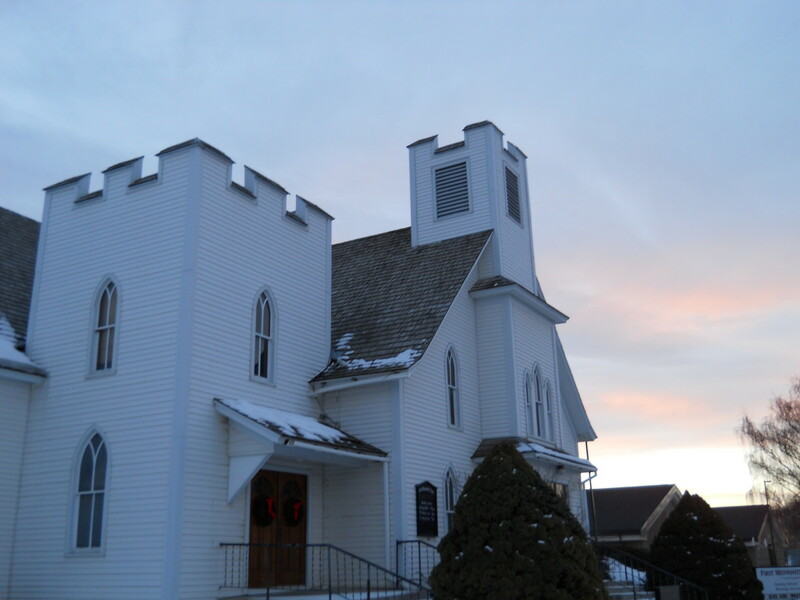 "Amish Country", are the beautiful farms, basket weaving stores and quilting shops, and furniture making crafts that are found all over Wayne and Holmes counties. Here is where the Amish and the Mennonites emigrated in the 1800's and live side by side in rural Ohio bliss. They also came to America to escape religious persecution in Europe. Both of these peoples have many similarities, but also many differences. I have learned about these cultures from the people who have opened their homes for us to see and tour, and they have explained their lifestyles to the"English" as they refer to anyone not Amish. The Old Order Amish are a group of Christian church fellowships that form a subgroup of the Mennonite churches. They are known for their simple living and plain dress. They are very reluctant to adopt many conveniences of modern technology. For example, they do not have telephones, use of electricity, use of automobiles or use of cameras or photography. The Amish follow the teachings of Jakob Ammann, who was an Anabaptist believer and Mennonite while living in Switzerland. An Anabaptist is a believer of adult baptism, in addition to infant baptism, at the time the adult makes the decision to join in the faith. The Mennonites are Anabaptists as well. But in 1693, Jakob Ammann lead a schism in the Anabaptists faith, when he called for more strict and more discipline in the church and faith. He believed there should be stricter shunning rules for those who drifted away from the true faith. Those that followed Ammann became known as Amish. 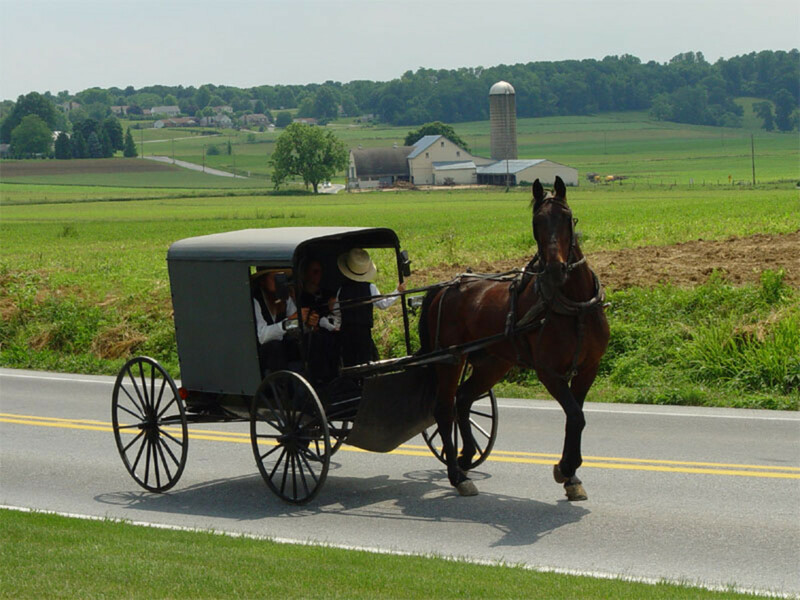 In the early 18th century, many Amish and Mennonites emigrated to Pennsylvania. Today, the most traditional descendents of the Amish continue to speak Pennsylvania German, also known as Pennsylvania Dutch and a dialect of Swiss German. The regions they live in here in North America are Ohio, Pennsylvania, Indiana, New York, and Ontario, Canada. The Amish culture is a strict one and begins with Amish church membership with baptism usually between the ages of sixteen to twenty-five. Church membership is required for marriage and once baptised and a church member they can only marry within the faith. Those that do not follow the rules of worship or of daily living and refuse to repent are shunned by the other members of the community. Even spouses are expected also to shun the guilty or unremorseful spouse. Those that refuse to repent are excommunicated from the faith and the community. This is all done in the hopes of shaming the wayward member into returning to the church and its ways. They follow strict regulations on clothing. Women wear dresses only and usually in dark colors of black, navy blue, and dark grey. Men wear jeans and overalls. No buttons or zippers are permitted on clothing as this gets away from "plain dressing." Women must pin their dresses on with only straight pins as safety pins are not considered "plain dressing." Only men's pants are permitted to have buttons, but never zippers. Women must always wear long hair tied or pinned up in a white cap or a bonnet. The pleats on the bonnets signify to other Amish which church district they belong to. The men must wear beards after marrying, but mustaches are not permitted. Bachelor males must remain clean shaved. The Amish are not permitted to accept government assistance such as social security and are exempted by law from having to pay into it. They also practice nonresistance and will not perform any type of military service. 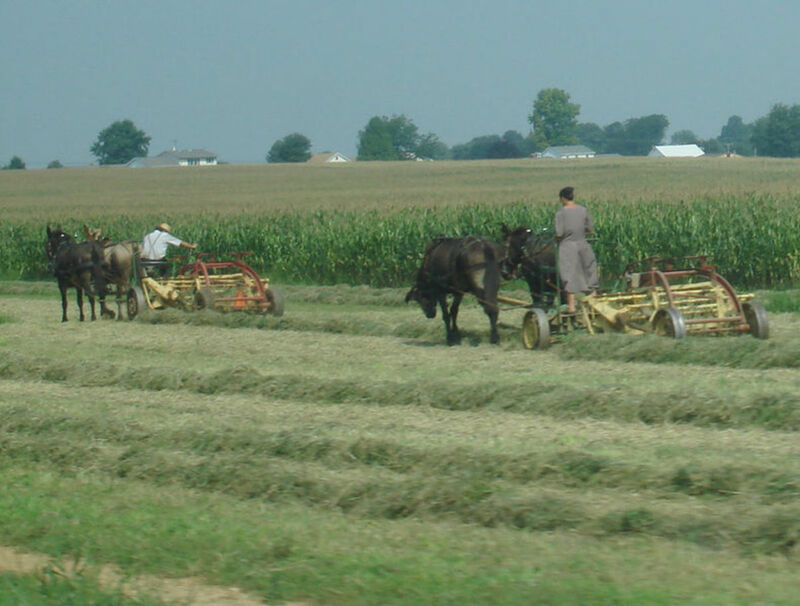 The Amish are usually farmers and own most of the farmland in Wayne and Holmes counties here in Ohio. They can work outside of the home or farm as carpenters, quilters, sewers, cooks, and simple store clerk positions in small local stores and restaurants. 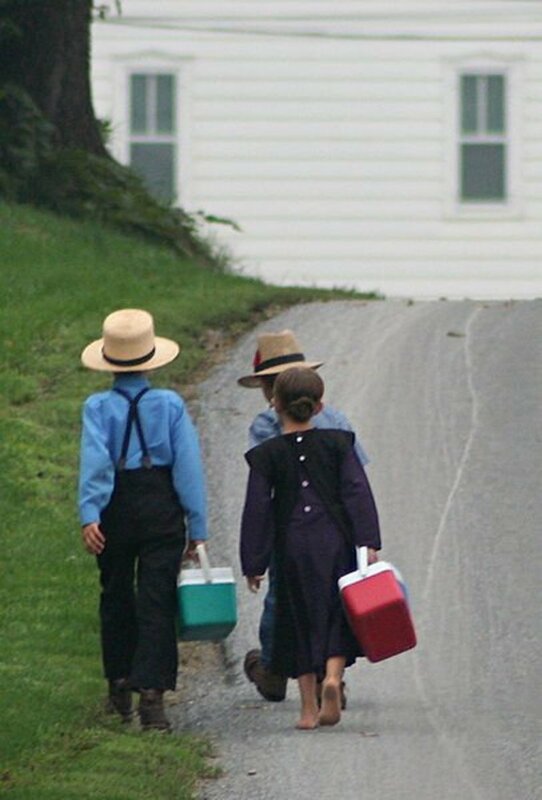 The Amish operate their own one-room schools and discontinue formal education at grade eight which is usually the age of thirteen or fourteen. Teachers come from the Amish community and are chosen by church elders. Since all Amish are not educated past the eighth grade and the teachers are taken from the Amish commmunity, the teachers are not formally educated past the eighth grade either. A new added feature to their culture in about the last ten years is the rumspringa ( literally, "running around"). In adolescence, the child is permitted to live among "the English" to make the final decision on whether to join the Amish Anabaptist church or leave it altogether. However, once the decision is made to leave the church, the child is never permitted to return to the Amish community. There is heavy emphasis on church and family relationships and they value rural life, manual labor and humility. They reject pride, arrogance, haughtiness and put a high value on humility, calmness, composure and placidity. They are reluctant to be forward, self-promoting or to assert themselves. They submit to the "will of Jesus" and are at odds with the individualism that is so central to the wider American culture. The Mennonites are a Protestant group based around the church communities of Christian Anabaptists, the belief in adult baptism. 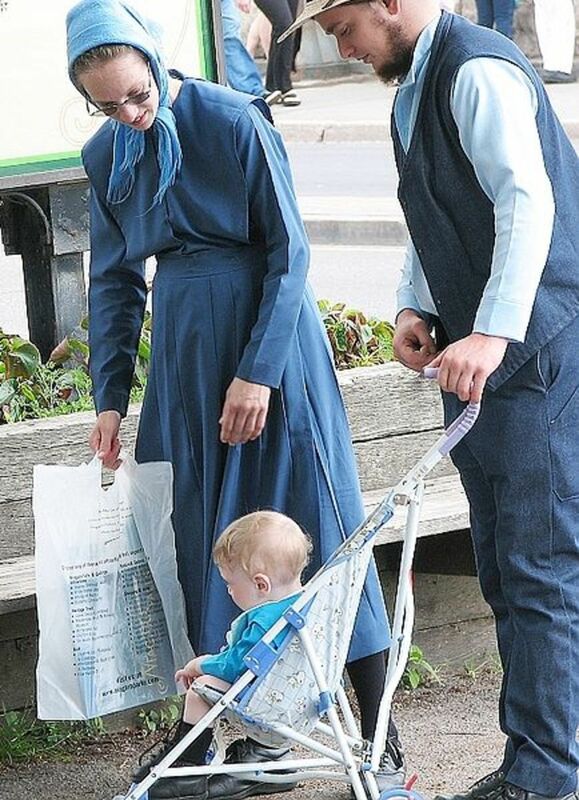 The Mennonites are a little more relaxed than the Amish but also can be "plain people" and up to those who are indistinguishable in dress and appearance from the general population. Mennonites, unlike the Amish, are scattered all over the world. The largest populations of Mennonites today are living in Ethiopia, Canada, the U.S., and the Democratic Republic of Congo. They are actively involved with peace and social justice issues. The Mennonites mostly came from Germany, Switzerland and Holland and were against the practice and theology of the Roman Catholic Church. They are considered part of the Protestant Reformation. They rejected infant baptism and joined the Anabaptist Movement when it began in 1525. 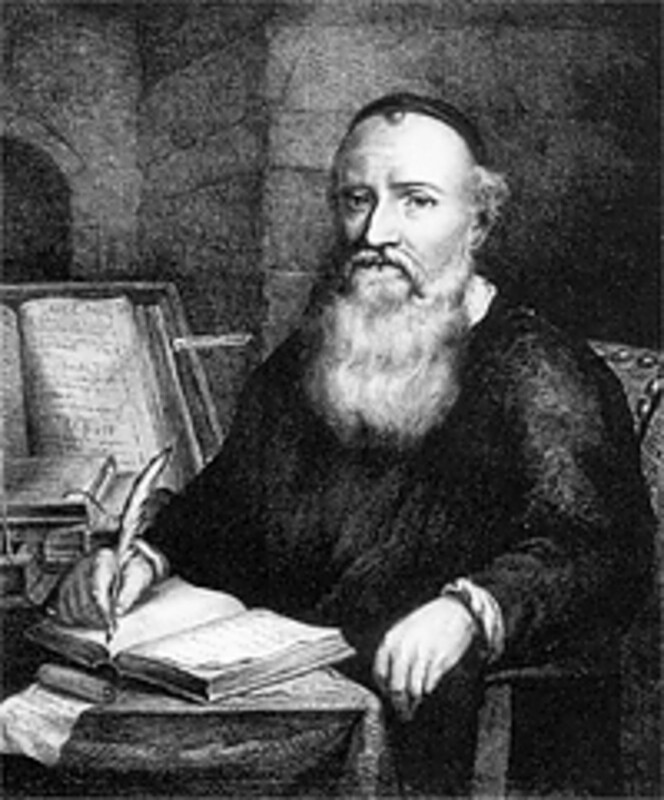 Specifically, the Mennonites follow the teachings of Menno Simons, originally from Holland, (1496-1561) later residing in Friesland in what is today Germany. Simons was a Catholic priest who in 1536 left the Catholic Church and became a leader of the Anabaptist Movement. Through his writings, Simons articulated and formalized the teachings of earlier Swiss founders. His teachings are founded on the belief in both the mission and ministry of Jesus Christ and they are known as peace churches because of their commitment to nonviolence. Because many of the Mennonites were persecuted because of their Anabaptist beliefs, they emigrated to the U.S. They joined with the Quakers and William Penn in the 1700's and came to America, originally settling in Pennsylvania. From 1812-1860, another wave of Mennonite immigrants settled in America farther west in Ohio, Indiana, Illinois and Missouri. These were the Swiss German speaking Mennonites. 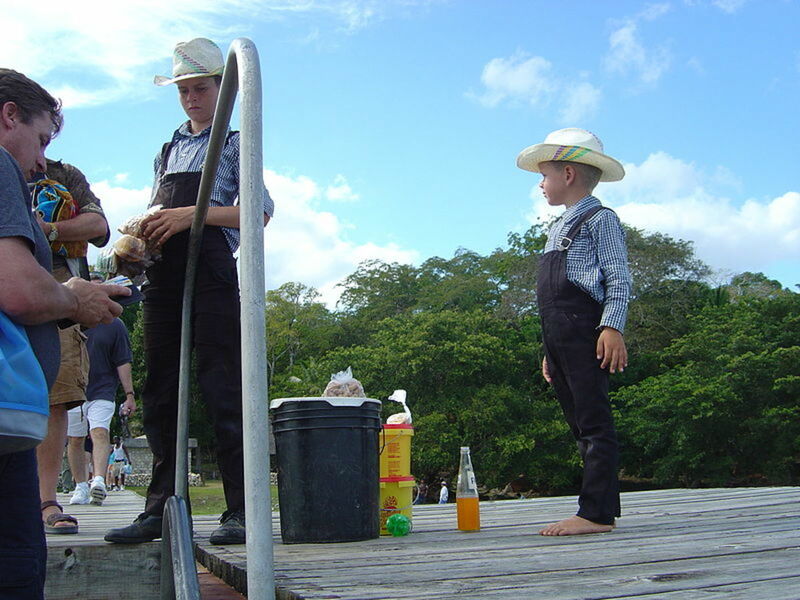 There are many communities of Mennonites and strains of Mennonites in their populations. The three major distinctions are the Moderate Mennonites, the Reformed Mennonites, and the Old Order Mennonites. This group of Mennonites belong to the Mennonite Bretheren and Mennonite Church. Their forms of worship and practice differ very little from other Protestant congregations with which we are familiar. They gather in churches to worship and do not worship in their homes. They have no specific form of dress and no restrictions on the use of technology. They have no formal liturgy and are self-supporting and appoint their own ministers. They do not have strict rules put forth by their churches and tend to be churches of emphasis rather than rule. 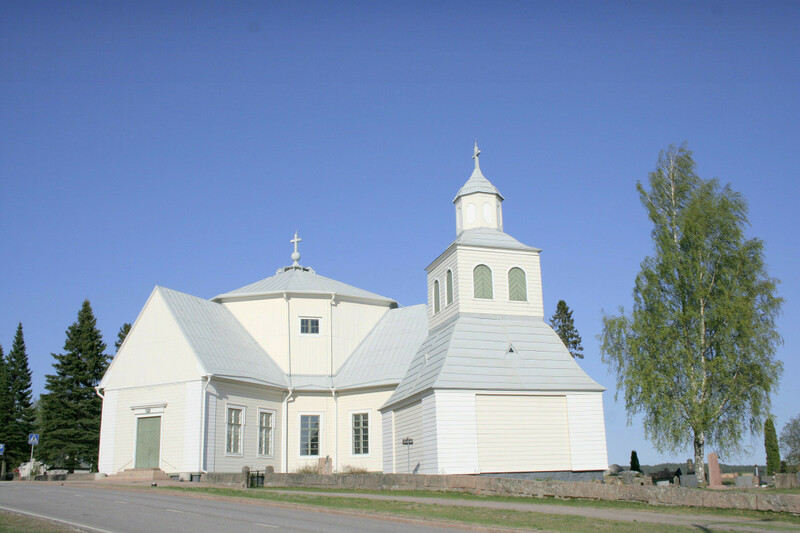 Their churches emphasize peace, community and service to mankind. They fully participate in the general community, not their own specific community as the Amish do, and banning and shunning are rarely practiced. They offer outreach programs and help to the wider community at home and abroad. They sponsor missions in third world countries and encourage their adolecents to join missions overseas during the summer and immediately following high school graduation. Their children attend U.S. public schools and they educate their children K-12 and post-graduation education at colleges and universities. These Mennonites see themselves as the true followers of Menno Simons teachings and New Testament teachings. There are no specific church rules, but the rely solely on the Bible as their guide. They have a strict separation from all other forms of worship. 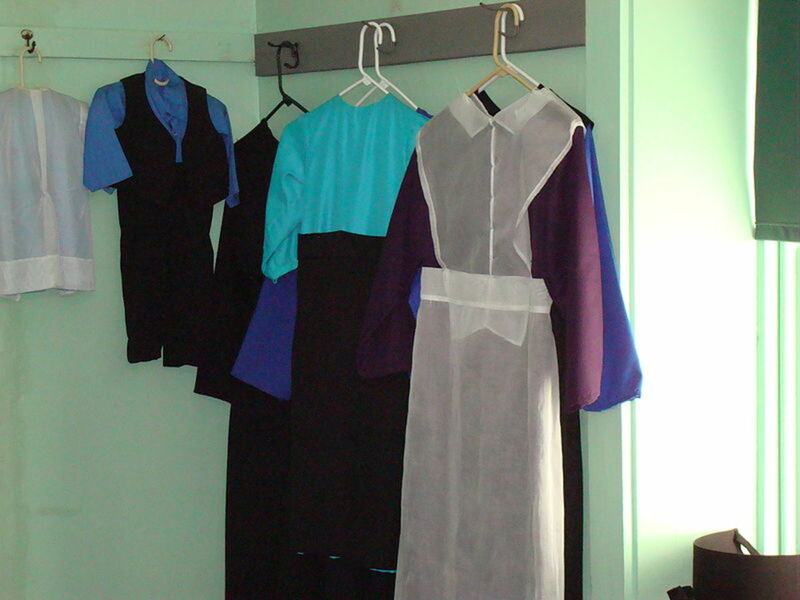 They dress in conservative "plain" clothing that preserves the 18th century Mennonite dress, but use buttons and zippers. They do not force the faith on their children. Their children attend public schools. They use and drive automobiles. 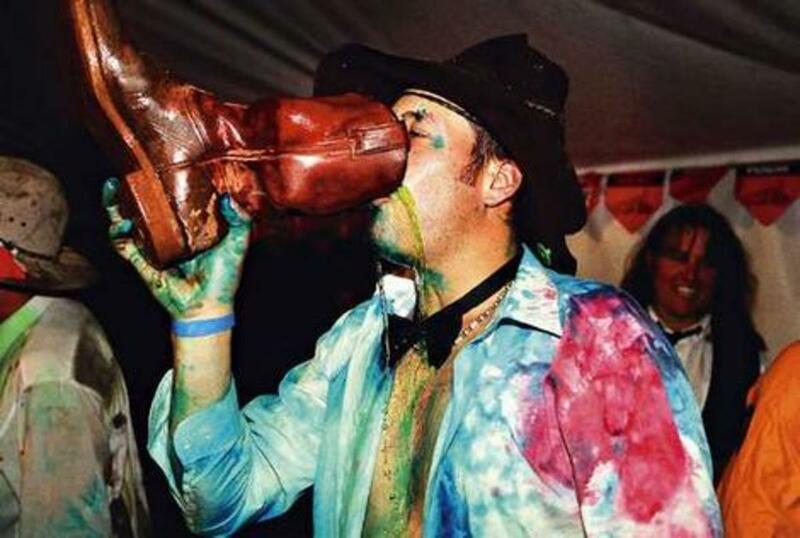 These are the strictist form of Mennonites. Some groups use horse and buggies and speak German and some groups drive cars and speak English. They follow conservative church doctrine and dress and traditions. They behave and dress as the 19th century and refuse to participate in politics. They school their children in parocial Mennonite operated schools. They do allow the use of tractors for farming. They stress separation from the outer world, wear "plain" clothes but do not always shun. From outward appearances they are difficult to distinguish from the Amish. Although they have more relaxed rules for worship and daily living, the Mennonites, for the most part, consider themselves "plain people." The women still wear long dresses, but they wear the lighter colors of light green, light blue, yellow and peach. They also sometimes wear the white caps and chapel caps on their heads and usually wear their hair wound up on their heads. The men also wear "plain" clothing, but can wear other fabrics than jean material. They do not wear the straw brimmed hats like the Amish men wear. Both the Amish and the Mennonite cultures are interesting to see and learn about. Obviously, the Mennonites are more open, relaxed and eager to talk about and teach about their lifestyle. The Amish do keep to themselves and are not as open. They turn away when anyone tries to photgraph them, hence no photos of my own of the Amish. 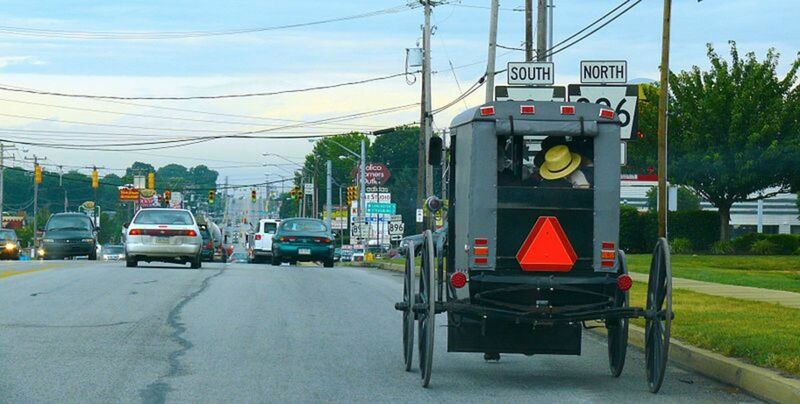 If you wish to visit "Amish Country" in Ohio, then come to Wayne and Holmes counties in Ohio. You will return back in time to life in the 18th and 19th centuries on rural farms in Ohio. You will see the quaint, charming homes of the Amish and their farms on Rt. 30 and Rt. 62 outside of Canton and Massillon, OH. You can sample the Amish cooking at the many Amish restaurants that dot these two counties, and you can visit and tour the Yoder Amish homestead, farm and one room school house. 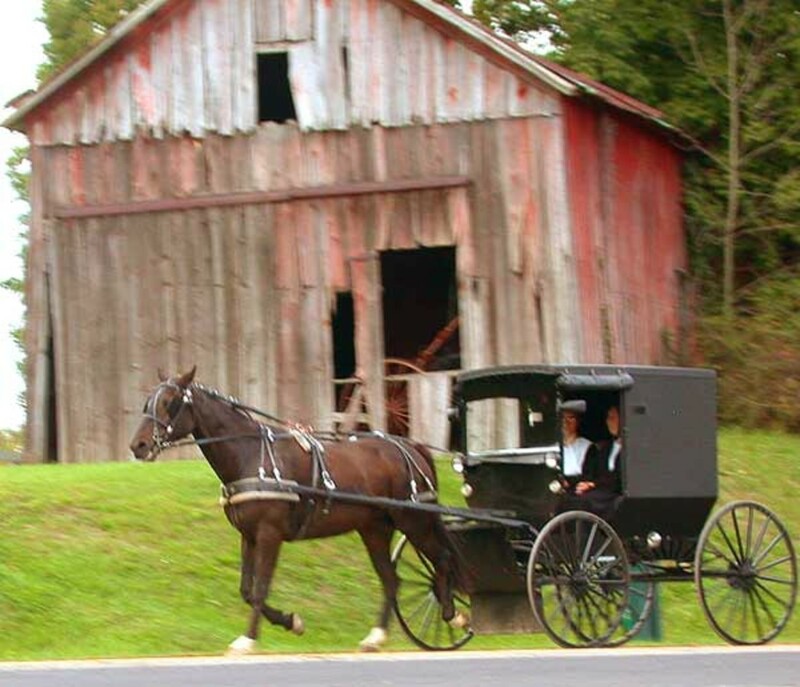 They offer daily tours and Amish buggy rides. All this in the heartland of Ohio. What was deviant is not deviant now? EsJam: Thank you for your insightful comments. I admire the Amish and Mennonite lifestyle and how they continue it in the face of a modern and contemporary world. It attests to their strong beliefs. I am about an hour away from Amish/Mennonite country here in Ohio and I visit it often. I am so glad this brought back pleasant memories for you. This brings back memories! I grew up in the Ozarks of Missouri where there was a moderate population of Mennonites on one side of my home, and Amish on the other. The Amish preferred living closer to town, the Mennonites were out in the sticks, like me. My folks befriended the Mennonites, I suppose because we were closer. I remember many times going to their homes, and the scent of kerosene lamps around us and reading Guidepost while the adults talked. I remember the large families. One of them had 18 children. They all pitched in, taking care of the younger siblings and chores. They were kind and generous. I used to get a kick out of watching them traverse down the paved highway past my house, in their horse and buggies. Until they joined the church, the younger generation got to dress however they wanted, and they drove cars. I will never forget the experience of spending time with them. Good hub, I enjoyed, and also enjoyed going down memory lane! Hendrika: Wow, what a wonderful testament to the Mennonites! Your son and daughter-in-law's lifestyles as Mennonites sounds truly wonderful and full of true community. I live near the Amish/Mennonite community and it took me years to figure out who was who and how different and yet the same their different cultures were. I, too, have been amazed by their sense of community and helping one another out. The example of the building of your son's house is the perfect example. They truly come together to help one another and I have seen them building houses and barns around here. They are most populated in Wayne and Holmes counties here in Ohio and I marvel at their culture and how they keep it when surrounded by the bombarding secular culture of the rest of us surrounding them. Thank you so much for you comments and wonderful example of your son and daughter-in-law. No matter which country they live in they truly help one another. There is much we, as a separate culture and people, could learn from them. Thanks for your visit and comments. So illuminating! My son is married to a Mennonite woman, I suppose they fall under the Moderate Mennonites as you cannot really distinguish them from the normal population, they only seem very conservative. My daughter in law and her family came from Russia and are now living in Germany. From their specific group there are also communities in Canada and Argentine. I think they because of the hard life in Russia, where they were looked down on by the Russians they became more adaptable. Today they all speak German, but some of the older people still speak "Plattdeutsch" that is mostly thought of as a dialect of German, but it is not really correct. You can say it is more like Afrikaans and Dutch, very similar but two completely different languages. They still have their own church, but freely interact with everyone else. One thing I have learned from them is their sense of "community" They love getting together for the slightest "excuse" And they really help each other out. Their baking is wonderful. My daughter in law's mother even sent some lovely "cake" when my son came to visit us. She is too old and ill to do much baking now and what a loss. 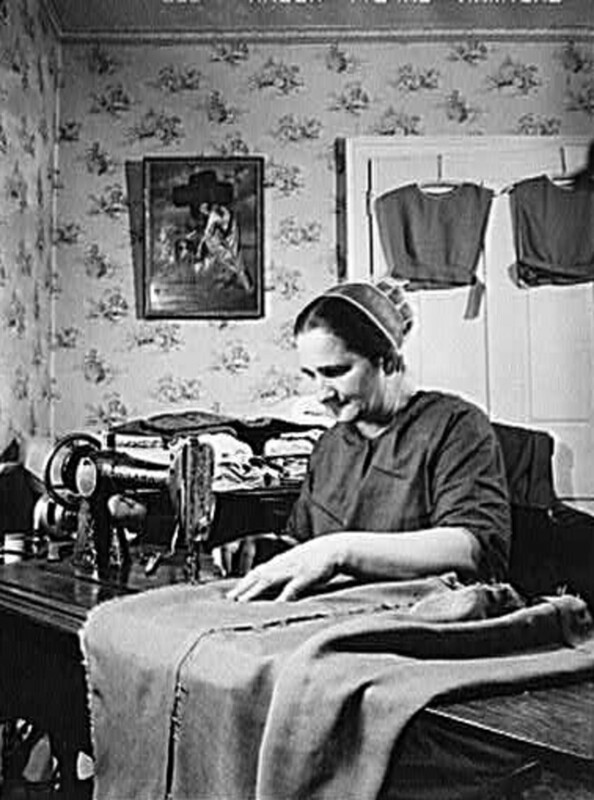 The grandchildren twists her arm and she does as much as possible, but it frustrates her the she cannot work any more. For Mennonites working is a pleasure and they do it because they want to and not because they have to! All in all they are wonderful people with a lot to give to the community. moonlake: Thank you and I'm glad you enjoyed this hub. We have quite a large Amish and Mennonite population here in Ohio, close to where I live when I'm in Ohio. 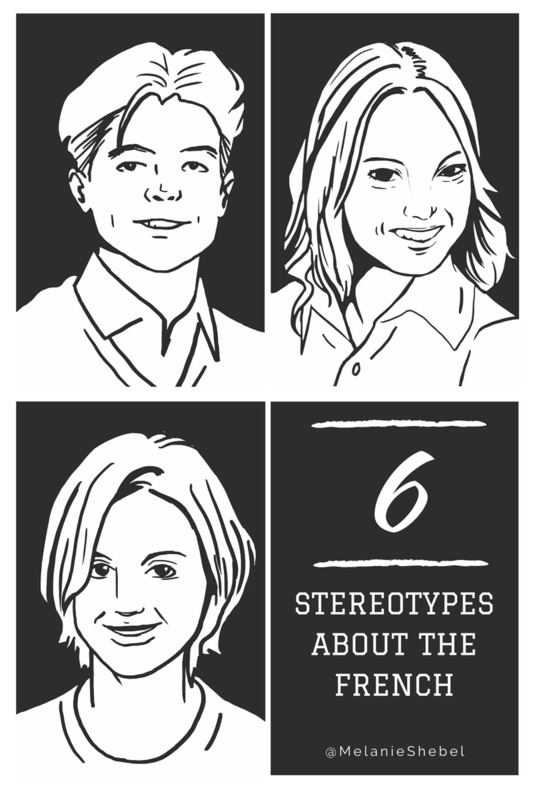 They all have such interesting cultures and can be very different from one another. But, I will say one thing they have in common - they all have beautiful farms. Thanks so much for your visit - most appreciated. Very interesting hub. We have Mennonites in our area. Voted up and more. So glad you enjoyed reading this. Bevery Lewis's books are quite popular around here. I love going to the Amish Country here in Ohio - it is always a pleasant trip. Thanks so much for readiing and for your input - most appreciatedc! Great hub! I love reading about the Amish and Mennonites, especially Beverly Lewis's books. Alexander: I find their culture interesting and I admire the simple life, but the daily and religious rituals are too much for me too. I do agree with what the Amishman told you. We need to get rid of the "things" in our lives and live as simply as possible. The older I get, the more that makes sense to me, and the less "things" I think I need to be happy. Now, sunsets, sunrises, butterflies, flowers, hubpages, etc make me happy. Thanks so much for stopping by to read and comments. I always enjoy your visits! I admire the Amish, but I find their allowance for using cars driven by outsiders and use of doctors extremely hypocritical. That tells me that they are wrong. That certainly doesn't mean their lifestyle is worse than ours, it is an extremely appealing life, but it would be near impossible to adapt to - I don't want it either! I once read an article about the Amish, and one Amishman was asked how one could become an Amish, and his answer was that one did not need to join the community, but to live simply wherever you are. I agree with that - modern society is way too busy and too full of "things." I see Mennonites at the airport and the shopping centers quite often, usually the women are dressed like colorful Amish, and the men almost always look just like the rest of the world except for the funny beards and none of them wear shorts. I once wanted to go to a Mennonite church, but the more I thought about it, the more I knew that following human rituals was not going to get me closer to God! kelitad: Thank you so much for reading this. I'm glad this was so interesting to you. To me, the Amish and Mennonites are just as interesting as any other different culture in the world. I really do admire their strong wills and the ability to turn their backs on the rest of the world and live their lives as they wish. I'd say you come from good stock! lol . Thanks for taking the time to visit and comment! My mom's mother came from Mennonite stock, so I knew a little of her family's past, but this was very informative! Very interesting! Dexter: You are so right! The Amish and Mennonites have a family and community cohesiveness that is missing in contemporary American life. In some ways they are much smarter than the rest of us. I admire their ability and strong wills to turn away from modern life and conveniences and retain their simple lifestyle. I don't think I could do it now in my life - I'm too used to my conveniences and I'd have to give up hubpages lol. I think their religious beliefs and practices are too rigid for me. But, their world is certainly more peaceful than ours. Thanks so much for reading and for your insightful comments. They are greatly appreciated! sgbrown: Yes, they are so interesting. After a couple of trips to the Amish Country and thinking everyone I saw was Amish, I slowly began to realize there were different sects of Amish and Mennonites. That is when I really became interested in knowing the differences and I thought I just pass on what I found out. Thanks so much for reading and for your comments. They are greatly appreciated. Sherry: What a neat experience you had meeting some Mennonites. They are so friendly and willing to talk about their lifestyle and the differences from the Amish. The Amish always turn away when you look them in the eye or try to talk with them. One thing I did forget to put in this article is that the Amish do open up their homes at Thanksgiving time and serve Thanksgiving dinners to the public, for a price, of course. That is an interesting experience also. Thanks so much for stopping by to read this and for sharing your experiences also. I enjoyed your visit! JKenny: I know what you mean. There is a certain appeal to their lifestyle, but I just couldn't stand the rigidity for long. It amazes me how they manage to ignore the world around them and create their own as if the 18th or 19th centuries weren't over. It is admirable as you say. Thanks so much for stopping by to read this and for your insightful comments! Amish or Mennonites, both live very different and interesting lives. Both cultures are very fascinating. What intrigues me is how some of we "English" tend to judge or look down upon these cultures because they tend to live simpler lifestyles. All while some of we "English" are stressed out due to work, live in crime-infested areas and have no sense of community or working together for the good of all. The Amish and Mennonites may seem odd. But so is the nightly local and world news. Thanks for sharing a truly wonderful hub about the Amish and the Mennonites. It is really good to know their differences and how they relate to others. Amish Country seems like a very peaceful and tranquil place. This is a very interesting and well written piece. I have wondered what the difference was in the two. I am sure I would enjoy visiting these communities and "stepping back in time". Voted up and interesting. My husband and I were at a rest stop in Ohio when a little grey car pulled in, The family who got out were plainly dressed as you describe. The parents were quite friendly, and sat and talked with us for a few minutes while their 2 children ran off some energy. We were not that familiar with Amish, but knew nothing of Mennonites. They explained that their beliefs were much the same, but they were allowed to drive cars, the cars they drove were to be as plain and utilitarian , as simple as the clothing they wore. Thanks for providing more information about these interesting people. Fascinating article Suzette, like Nell I've watched programs on the Amish here in Britain, and I can't help but be fascinated by their culture. I think the way they've managed to hold on to their traditions and customs despite the advance of the 21st Century is admirable. There is a certain appeal to their way of life, but I don't think I'd be able to manage working from dawn to dusk six days a week. Thanks for writing this. Voted up etc. ThelmaC, thanks for reading and commenting. I'm glad you enjoyed this piece. I was just in Amish Country this past weekend and decided I needed to write a hub about it. Thanks for the vote! The Amish and Mennonites fascinate me and I appreciate your article. I didn't know about the Social Security. I voted "up" and "interesting". Their lifestyle is too restrictive for me. I think, even though born into it, it would be difficult to ignore the rest of the 21st century world, but amazingly that is what they do. And, for the most part, they chose this lifestyle. They live about an hour from where I am in Ohio, so it is an interesting place to see and experience the 18th and 19th century world. Thanks for stopping by to read and comment. I always enjoy a visit from you, Nell. I'm so glad you enjoyed this piece. They fascinate me also. Most of them are born into the Amish or Mennonite communities and faiths. As mentioned in the article, they do have a choice on whether to stay with it or not. But, once the choice is made, they are expected to live strictly by the rules. It is too much of a restricted life for me. Thanks for reading and sharing your thoughts. I am fascinated by the Amish and all restrictive religions. I often wonder what makes people get involved with them, if they had a choice in the first place. This article taught me more about both the Amish and Mennonites, including how they came to be called that.